Living in North Carolina as I do, I have the opportunity to travel out there with some regularity. Even more so that Captain Brian Patteson, the birder’s gatekeeper to this unique realm, lets me come onto his boat and point at birds from time to time. It’s a sweet gig, and I don’t for a second fail to appreciate how lucky I am to be able to do it. This past spring I was able to see the Gulf Stream four times. More than most, and fewer than some, in late May and early June. The trips were successful. I finally managed to touch base with South Polar Skua and Leach’s Storm-Petrel, the two most common species I had yet to see, which was great. 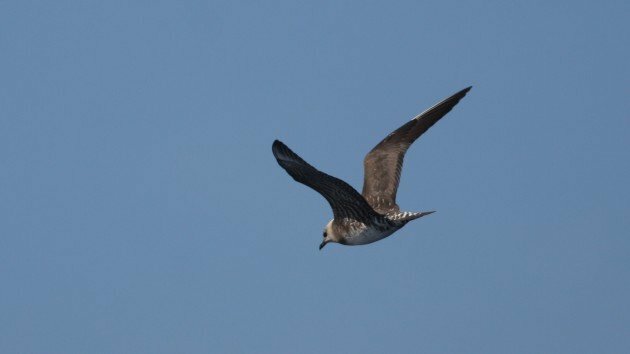 I missed the critically endangered Bermuda Petrel by one day (the second time that’s happened to me in 10 years), which was not so great, but I’ll get another shot at that one. Other than that, the species list was fairly typical for spring in the western Atlantic. 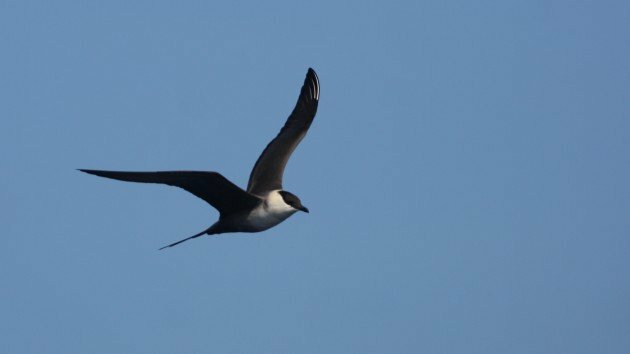 Four shearwaters, three storm-petrels, a smattering of jaegers and, of course, the amazing Black-capped Petrels. 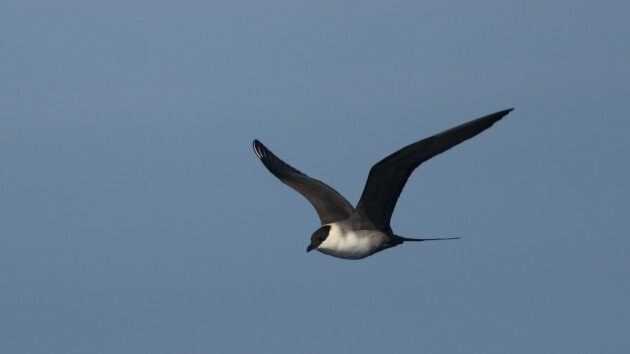 Each trip offshore was highlighted, however, by a different species of long-tailed bird, from opposite sides of the Atlantic. 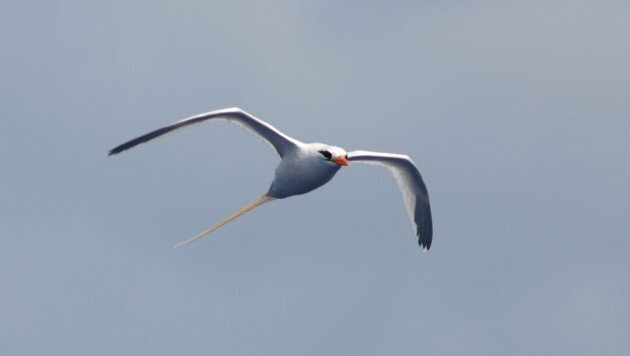 On the first day, we encountered adult White-tailed Tropicbird, a target bird for many. Tropicbirds, particularly the adults, are other-worldly. Maybe it’s the clean white plumage and the gorgeous tail. Maybe it’s the buoyant flight as they practically bounce around the boat. It’s almost certainly partly because of the way they just seem to appear suddenly above you with no warning. One second you’re glassing a section of ocean and the next, someone yells “TROPICBIRD!” and you’re suddenly graced with this angelic vision of a bird not more than 15 feet from where you stand. I’ve had the good fortune to see many White-tailed Tropicbirds in the Gulf Stream, and they never disappoint. In fact, this one was in high breeding plumage with an apricot tail which seemed a bit like gilding the lily to be frank. We went out again the next day. This time the bird of the trip was an adult Long-tailed Jaeger, followed closely by a begging youngster. This bird had probably been following its apparent parent for the better part of a year. No rest for the weary, I suppose. 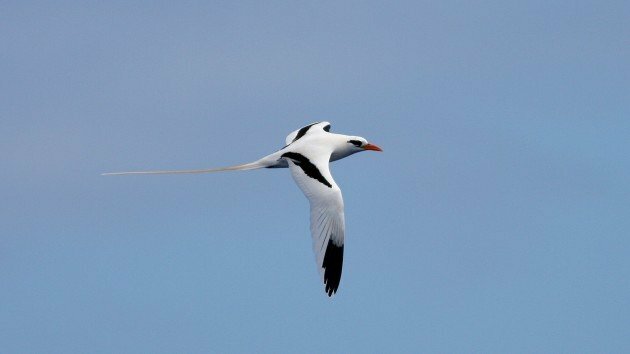 Long-tails are not uncommon out in the Gulf Stream in late spring, as they follow the Arctic Terns towards their mutual breeding grounds in the high Arctic. Rarely do we see them so well, though, and this pair followed the boat for nearly an hour offering exceptional opportunities for all onboard to study this svelte skua. The younger bird was a little less forth-coming. There’s always so much to see out in the Gulf Stream. I hope you’ll come out an join us some time! 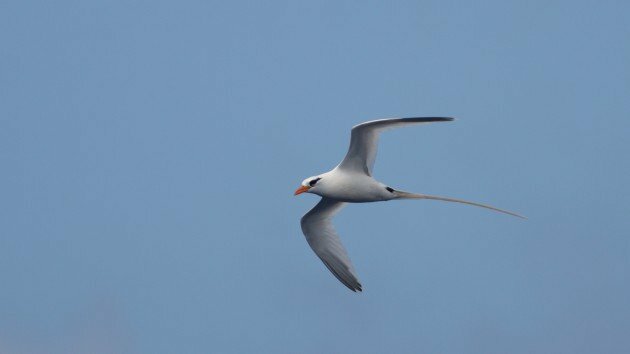 Amazing pictures, particularly the second one of the tropicbird. One day, I’ll come across one … one sweet day. Thanks for sharing the amazing pics. Where Are You Birding This Final Weekend of July 2013?